OK, so I don't know which male artist was paid more than Haim, so they may have a point. But if it was an artist that on average sold 10 times as many tickets, then it is logical to get paid 10 times more. DJs work for free just to get booked. James Blunt won't get paid the same as Beyonce. Damien Lewis and Tom Cruise are both male actors but won't get paid the same. Tasha Tilberg and Kaia Gerber are both top female models but won't get paid the same. Jeenu Mahadevan is a male model and will get paid considerably less and rightly so because he has less pulling power and sells less clothes as a result. Last year, our top performing consultant was female and on merit earned more than male counterparts. The year before it was a man. In the celebrity world it is pulling power that dictates reward, in a sales environment it's merit, in medicine it's experience. So when you have two equal people of equal merit or experience they should obviously gain the same reward for their contribution. It should have nothing to do with gender or anything else. 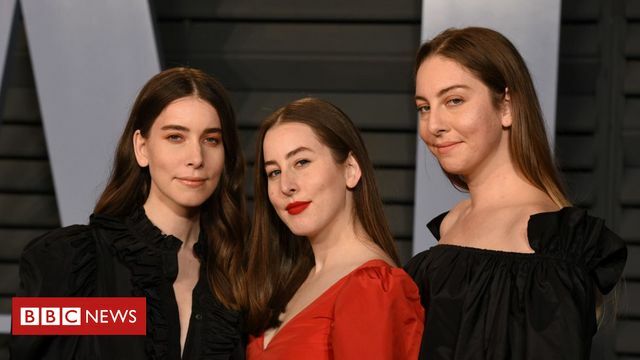 Haim claim they sacked their agent after finding out they were paid 10 times less than a male artist performing at the same festival.